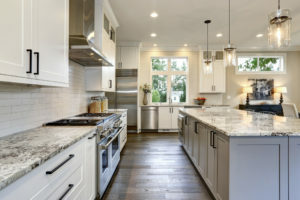 Find Your Kitchen Style - Columbia Builders, Inc.
On the search for the right kitchen style to match you and your needs? Take a look at these different ideas. Homebuyers spend significant time and effort with us designing their kitchen – more so than other areas of their new custom home. Today’s kitchens serve as an extension of our living space, taking on many roles and functions beyond meal preparation and food storage. 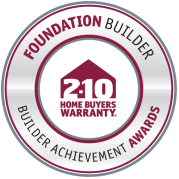 So, if you’re thinking of building a new custom home or even remodeling your current one, deciding upon the style that best reflects your design sense is the important first step. Selecting the many different materials and components that go into designing a fabulous kitchen will easily fall into place once you’ve identified the style that appeals to you. The internet is full of great sites with photos and ideas, and here’s a quick guide to help you define what design profile suits you best. The classic kitchen is just that – timeless. White kitchens certainly top the list as a favorite of this design style. Simple details, from cabinet door styles to accessories and trim, hallmark this style. An uncomplicated color palette such as black and white or soft neutrals will compliment the classic kitchen perfectly, and allow it to take on the flair of being a bit more traditional or contemporary with ease. With an antique table as an island or industrial lighting, a classic kitchen can be a chameleon, giving you the most flexibility over the years with your décor. Here, everything is the details! Cabinetry that mimics the look of furniture with raised panels, moldings and corbels, glass doors and glazed finishes are all examples of how a traditional kitchen exudes architectural elements. Marble, or simulated marble, counters with intricate edges, farmhouse sinks, and rich wood floors all give a warmth that coordinates well with this look. Mixing cabinetry colors and door styles is popular in traditional kitchens, along with lighting, faucet fixtures and custom-built ventilation hoods that are often ornate and showcase a traditional design. Clean lines, sleek appliances and mixed materials give those looking for a bit more modern approach to their kitchen transitional style. The key is to provide balance between traditional and contemporary design. Cabinetry and hardware that is straightforward and polished pair wonderfully with natural counters, tile backsplashes laid in a more contemporary fashion (grid vs brick), and a gleaming stainless vent hood and appliances. Remember to add a touch of embellishment to keep your transitional kitchen balanced. Carefully selected accessories and furnishings will help achieve harmony in this approach. Contemporary kitchens boast modern good looks with up to date technology. High performance appliances, data centers, and new trends all come into play. Materials with a more industrial look function well with this style – concrete or stainless counters, glass tile including mosaics, along with glass shelving, and distinctive splashes of color enhance a contemporary design. Thinks angles and not curves to give a chic, modern feel. Industrial or whimsical light fixtures, Lucite island stools and other contemporary accessories will bring cohesiveness to this design style as well.